The exhibit is in connection with the National Association for the Education of Young Children’s (NAEYC) Week of the Young Child. The purpose of the Week of the Young Child™ is to focus attention on the needs of young children and their families, and to recognize the early childhood programs and services that meet those needs. 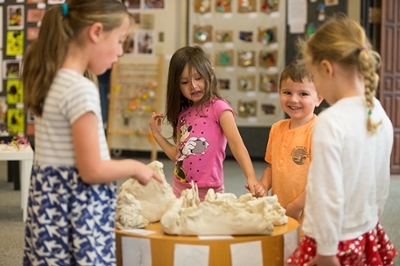 Photo: Students from the SIUE Early Childhood Center admire their work during the 7th Annual Children’s Art Exhibit on campus. 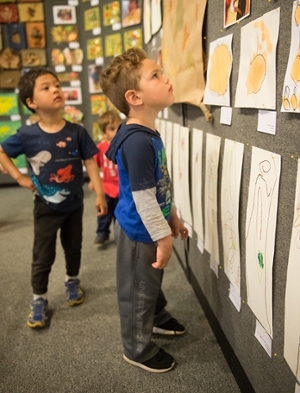 A student from the SIUE Early Childhood Center stands intrigued by his friends’ artistic creations.